Married to a Parisien, delicious wine and champagne is never far away. When I first visited stayed with my partner’s family in Paris, I was surprised to have wine with most meals, whether it was dinner at a nice restaurant or a home-cooked lunch. I’m certainly not complaining. I think we all need to celebrate the small things in life a bit more. And why not do it with a glass of bubbly? Champagne has been around for a long time—hundreds of years, in fact. While earlier versions were sweeter, the drink has evolved and become a symbol of luxury thanks to prominent champagne houses. Probably one of the largest and most renowned of these is Moët et Chandon, and every year on June 17th you can raise a glass to the house for Moët Party Day. Launched in 2016, Moët Party Day celebrates the champagne producer’s long history. For 24 hours, select restaurants, hotels, bars, and clubs host special events in honor of the brand. Some places have giveaways, some places have free-flow, and some places have special menu items. You can try a variety of the brand’s products, including the classic Moët Impérial. The event takes place all over the world. In fact, over 70 countries participated in some way for its second year. I found out about Moët Party Day a few days prior to the event. Looking on Moët’s event page, I saw that a few places in Tokyo were participating. 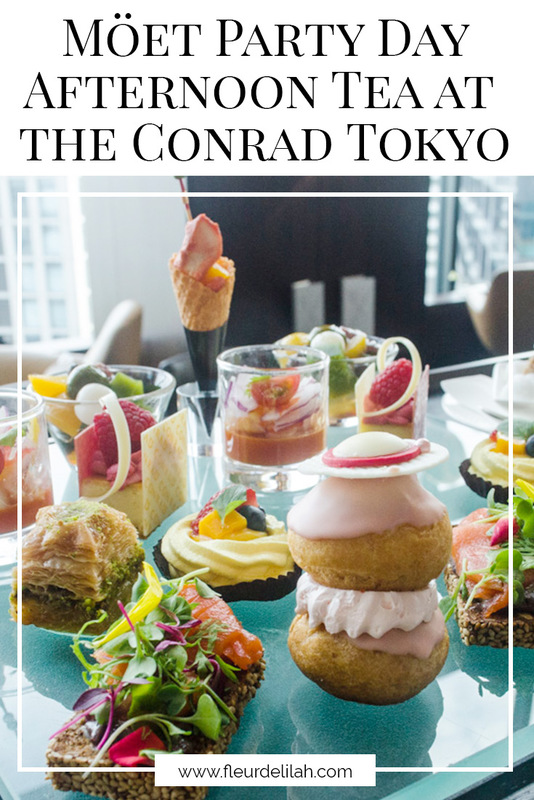 I was particularly excited to see the Conrad Tokyo on the list; I knew how beautiful the hotel was, having stayed there once before. So, I booked a table for two for the afternoon of Moët Party Day. 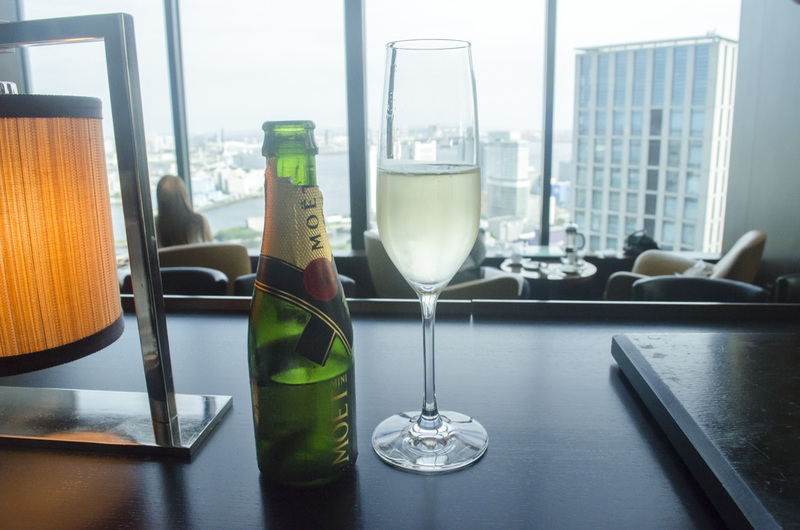 The Conrad Tokyo held Moët Party Day at their bar and lounge, Twenty Eight. Located off the lobby on the 28th floor, Twenty Eight offers unobstructed views of Tokyo Bay. Plush seating is arranged so every guest enjoys the sight. 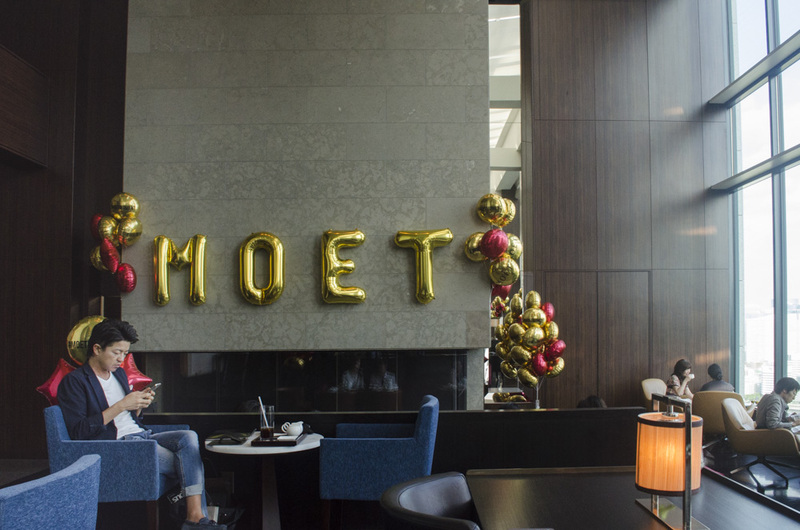 For Moët Party Day, the bar and lounge had Moët balloons hung up, including a set that spelled out ‘MOET’, plus signs by the entrance. 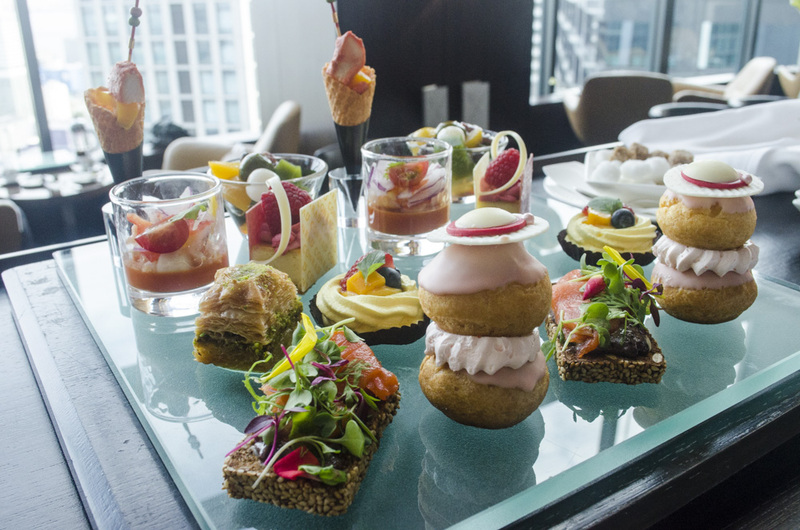 And on the menu, Twenty Eight had a special afternoon tea set for the celebration. 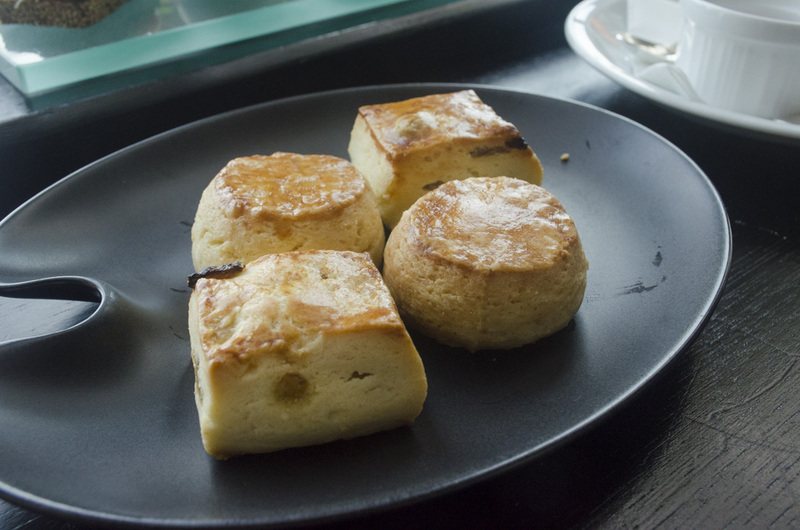 Included in the set were a large platter for two of savory and sweet bite-sized treats, a plate of scones, a pot of the tea of your choice for each person, and a personal-sized bottle of Moët per person. The platter had a wide range of flavors, and everything was impeccably executed. You could even say that the set had a flow similar to that of a full course. Smoked salmon with greens atop a slice of bread reminds us of a classic amuse-bouche. After that, a tomato-based salad in a glass is like a refreshing appetizer. Spicy chicken, paired nicely with a waffle cone, make for a hearty main. And finally, an array of sweeter options take the role of dessert. In the end, we left completely satisfied and convinced we’ll visit again—if only to celebrate the small things. Love tea? I do, too! Click here for more tea time. Hello I have nominated you for the Liebster Award! To learn more, visit my post!